It is important that Americans remember to honor and thank those members of our population who have served our fine country. 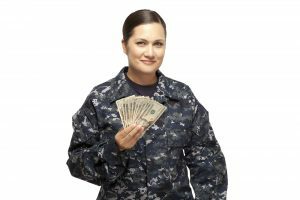 In fact, if you are currently in the military or have recently been discharged, it is important that you realize that you are eligible for many potential auto loans that could save you a great deal of capital since they have a lower interest rate. If you are currently located in the Forestville area, consider reaching out to Expert Auto in order to learn about their various military car loans in Forestville that are available to our esteemed armed forces. If you choose to work with Expert Auto, you can be sure that your loan transaction is in good hands. At Expert Auto, we pride ourselves on helping those patriots who have served our country for the freedoms that we get to experience every single day. Thus, we are dedicated to helping those men and women receive a break in the cost of their auto loan by applying for specialized affordable interest rates. In order to learn more, it is best to set up a consultation appointment to provide your financial information and credit history. Once you do this, a determination can be made as to which one of our military car loans is the best potential fit for your individual financial situation. To learn more about the military car loans in Forestville offered by Expert Auto, it is highly recommended that you contact Expert Auto today by dialing (866)429-0970. This way, you will be one step closer to being in the driver’s seat of your ideal car for an affordable price culminated with an interest rate that will not cost you as much in the long term. Allow Expert Auto to improve your financial record today!